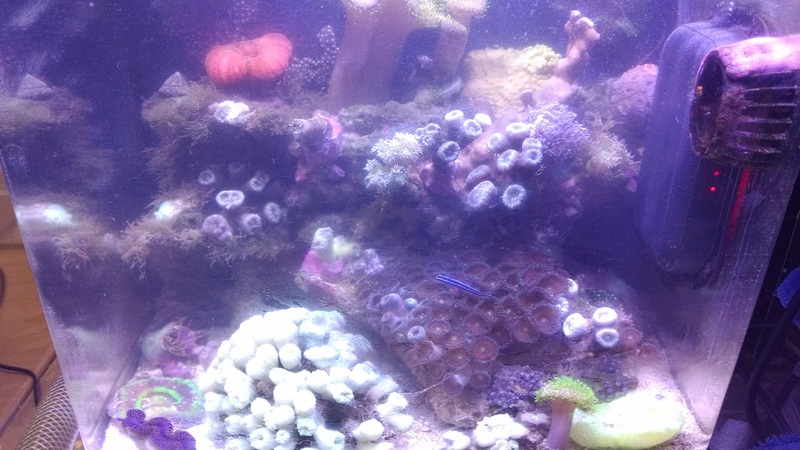 This is after some emergency re-arrangement (a coral broke off) so it is really a bad photo. But you can see some of the life and that I really do lack time for proper husbandry after 3 years of a nearly perfect tank. Most corals in here came as one or a dual head. So a bit of fragging over the years. If interested enter data and submit the form below.